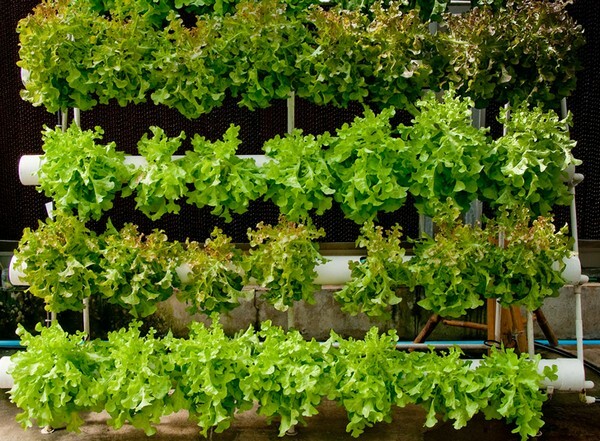 Vertical gardening is possible as long as you have a bare wall or fence. In this area, you can plant different types of plants such as annuals, edibles, and perennials. 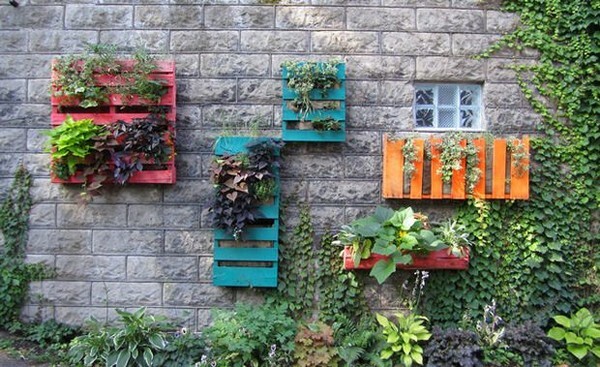 Here we will present to you some inspiring vertical garden ideas to give you eminent aspiration for the season to come. 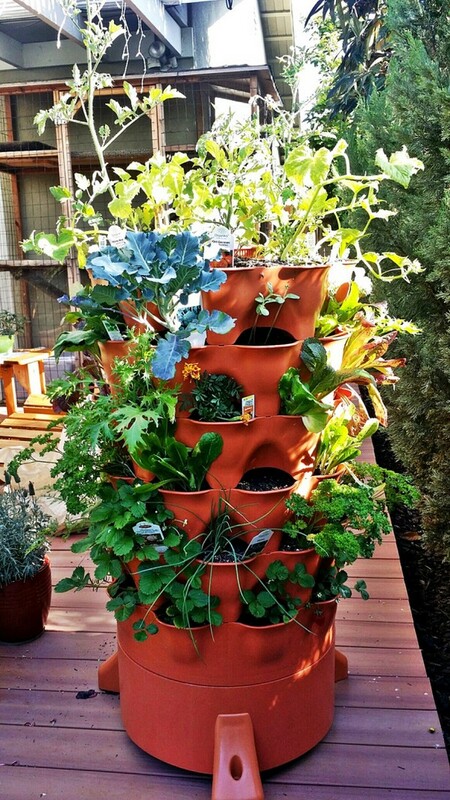 Keep in mind that vertical gardening is not just about using the vertical space for growing herbs, flowers or vegetables. Most often you can use containers and hang them on the wall. Typical gardeners often create trellises for growing climbing plants such as squash. Nevertheless, non-climbing plants can also be grown on the wall. Vertical gardens are beneficial since it only takes up less space and it’s also easier to harvest and maintain. However, they also have some constraints. Plants should not be placed too high. Be sure that it is possible for you to reach it in order to maintain it properly. It should have a sturdy support so that it can handle everything. Also, your wall must have access to sunlight. It must be able to hold off the moisture. You can install a polyethylene cloth at the back of your garden to block the vapor when necessary. 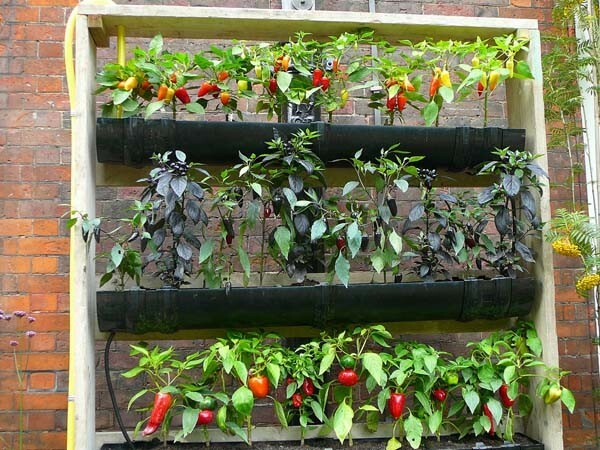 Vertical gardening is the most versatile gardening system. If you can harvest from your container garden then it only proves that it is very effective. 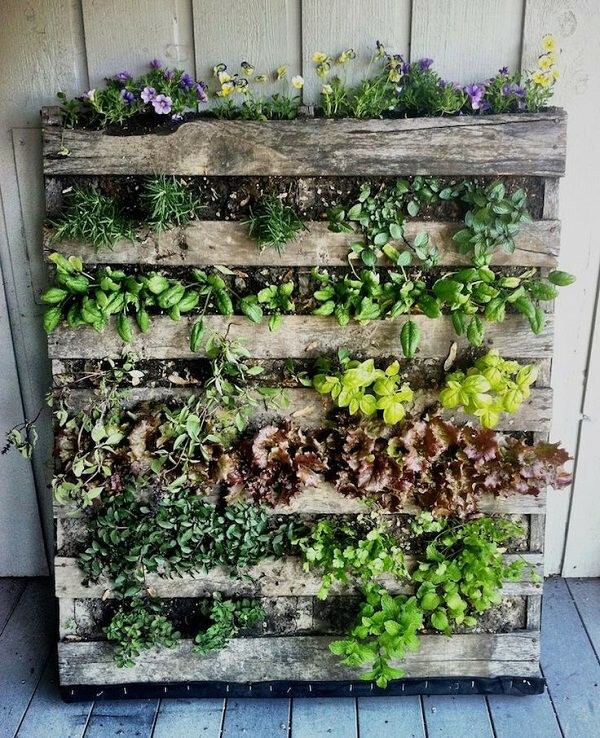 You can do a vertical garden in a lot of ways. 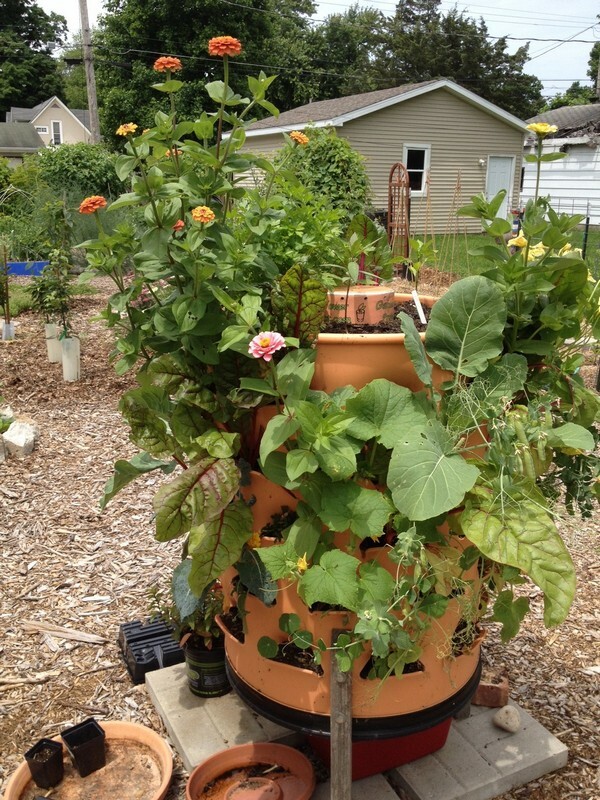 The Garden Tower is the best performing vertical gardening system because it has a lot of features. You only need an area of four square feet and you can already plant up to 50 different variety of plants. You can easily rotate it for easy accessibility and sunlight. You can even make an organic fertilizer using kitchen scraps. This garden is easy to use, senior friendly and can save you some water. Basically, it is the ultimate farm for rooftops and porches. Whether you are a first-time gardener or an expert gardener, you can greatly rely on its efficiency. 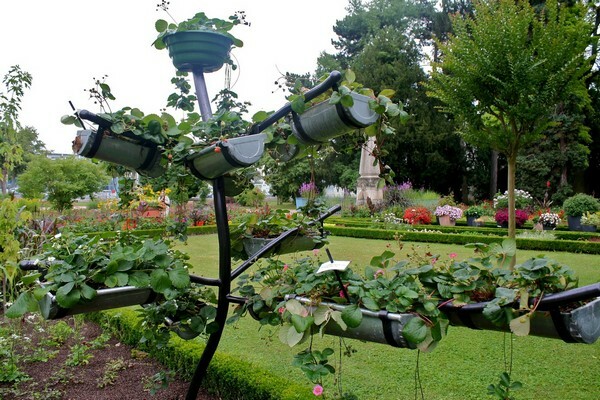 The gutter garden is another interesting form of vertical gardening. 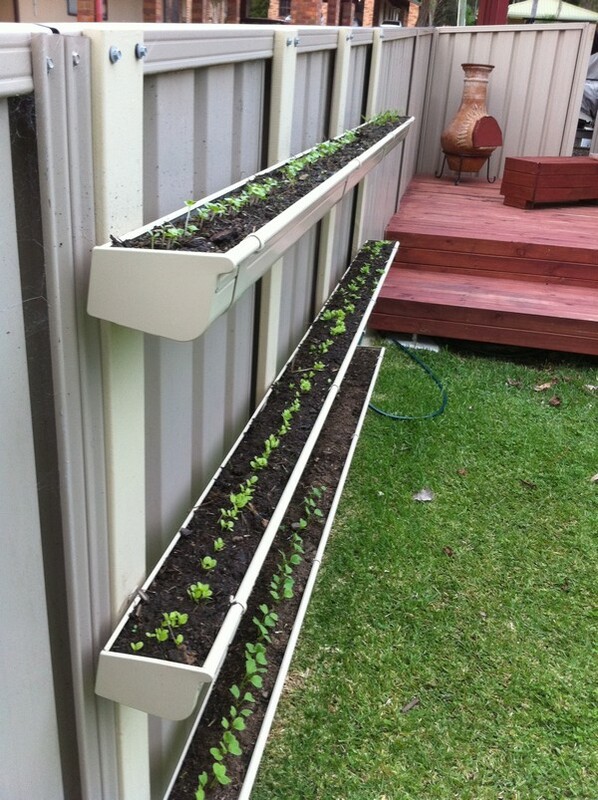 This is a good way of using your old gutters. It has a similar look of a window box. In installing the gutters, always ensure that it has adequate space between them so that the sunlight can reach the plants. Holes at the bottom are very important for proper drainage. This can help in preventing water from being clogged up and it can reach to the bottom. 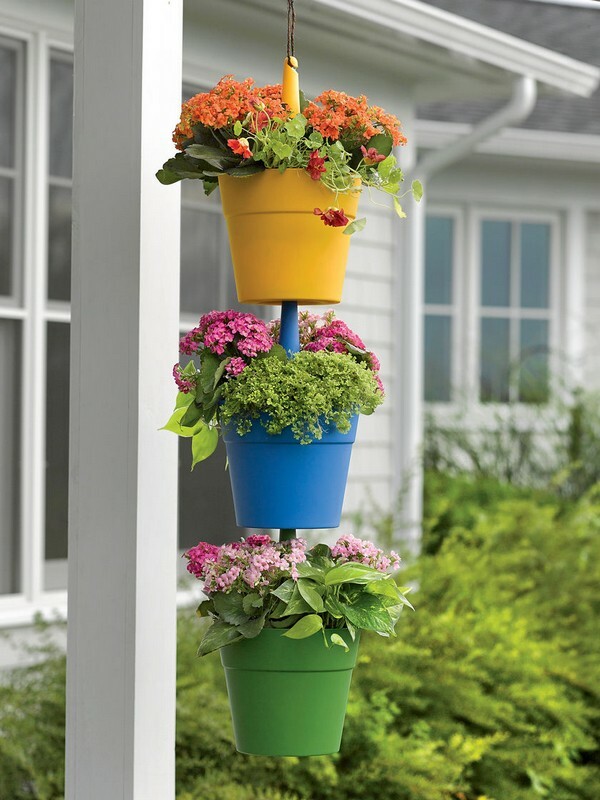 Hanging pots are the simplest form of vertical gardening. All you need are several containers or pots. 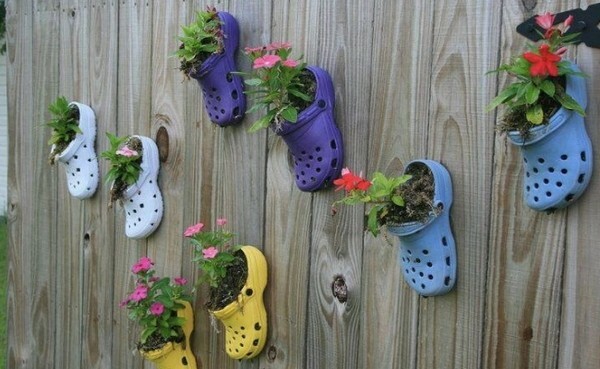 Just fill them with soil and put some holes on the bottom. Place it on the wall facing the sun. Install some fencing or a pallet for added support. When creating your own garden, it is essential to have adequate support so that it can withstand harsh weather conditions. 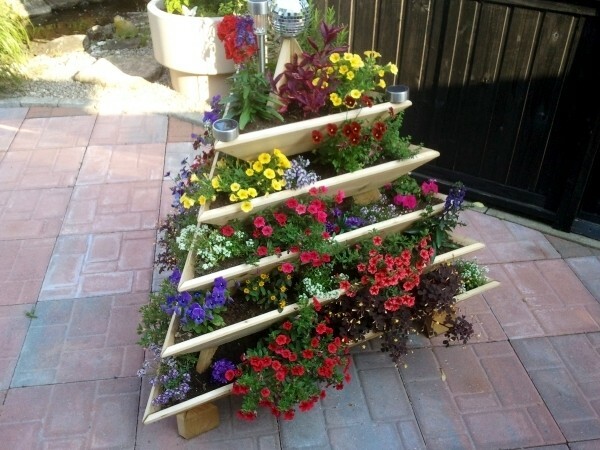 Turn other person’s trash into a vertical garden. 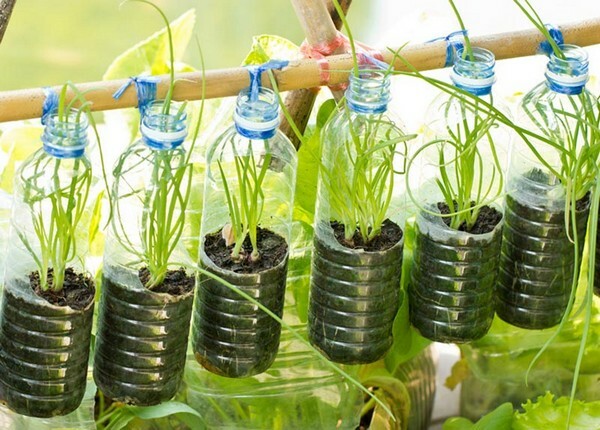 Load some soil into empty plastic soda bottles and hang them on the wall. You can instantly have a herb garden. Although, some of these plants may not reach its full size since it is planted in a small container. 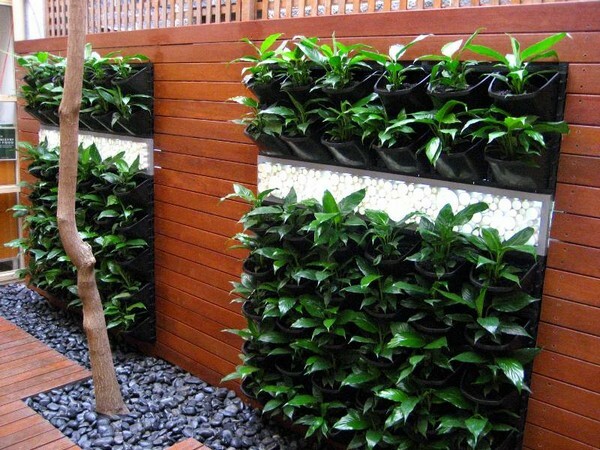 This a minimalist style of a vertical garden and is perfect for any space. You can grow any varieties such as herbs, flowers or vegetables. These cedar boxes can be tailor-made to fit a wall or a fence. 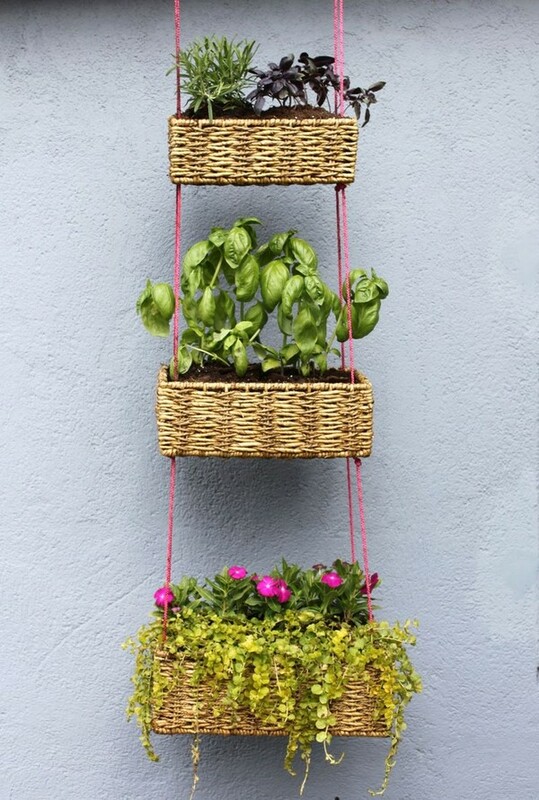 If you have unused items such as baskets in your home then you can use them for your DIY vertical garden. Just buy some herbs and colorful flowers and enjoy making it! 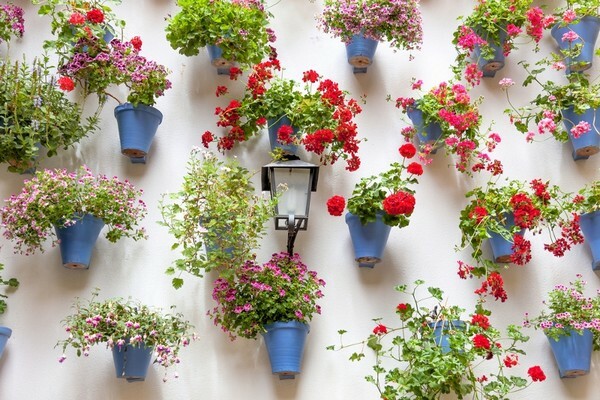 With hanging pots, you cannot only save some space but you can also create an avalanche of colors. It’s an easy and ingenious way of displaying annual flowers on your doorstep. Want to turn your boring window into an interesting one? 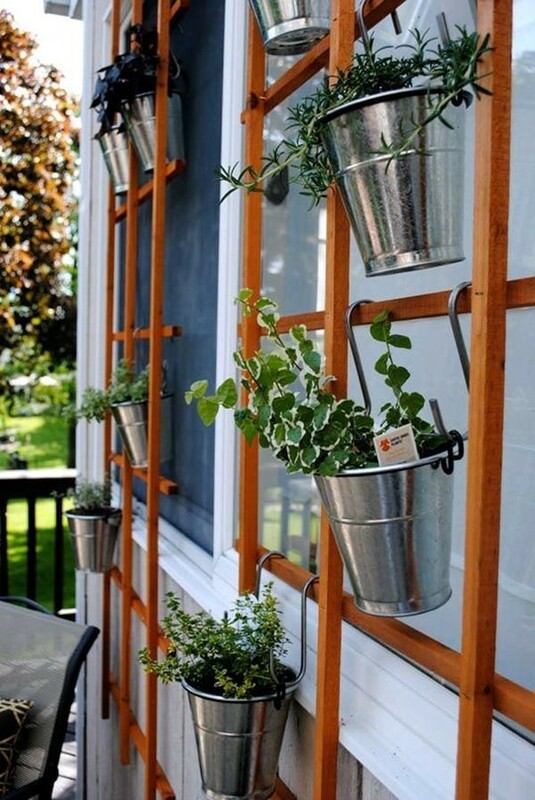 If so then why not hang trellis on them and attach some planters. This is ideal if you have a child who loves to take the leaves of your plants. 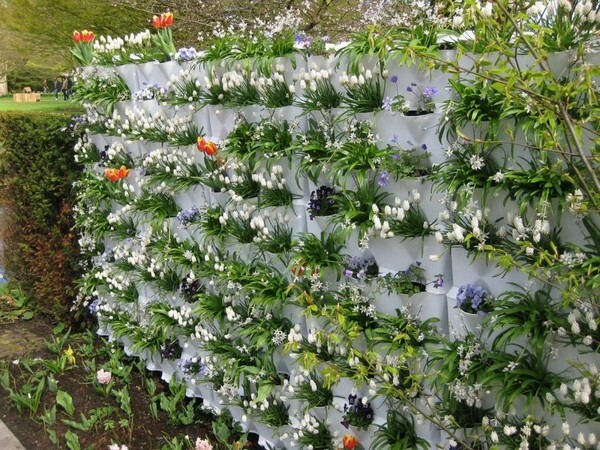 This is a cost-effective way of creating a vertical garden. Pallets are very useful in your garden. You can turn them into benches, planters, pot holders, raised beds, and others. Regardless if you have a small space, you can still grow different varieties of plants such as herbs, ornamentals, and even succulents. If you want to conceal your ugly fence then use succulent gardens. Just recycle your old picture frames and plant them with colorful succulents. 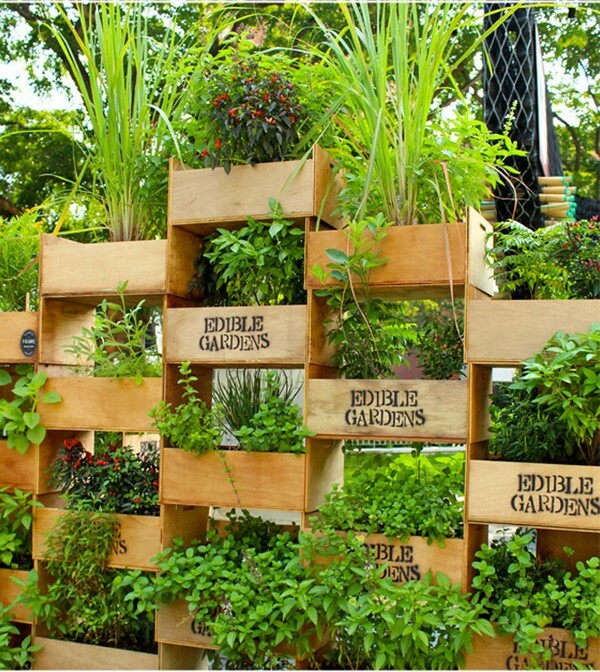 By stacking numerous crates, you can instantly create a vertical garden. Even if you are living in a highly urbanized neighborhood, you can still create your edible garden. 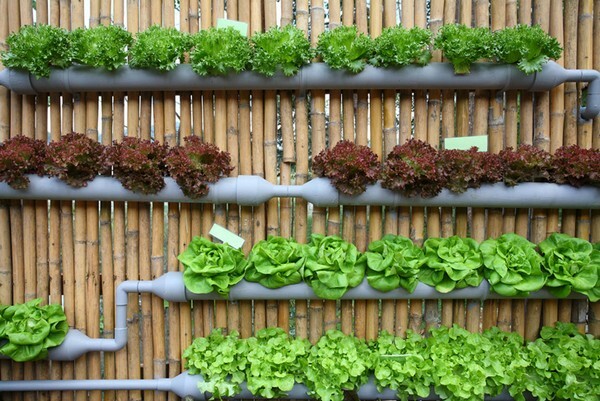 Like gutters, pipes can also be recycled for growing greens. Just punch some holes at the bottom for sufficient drainage. If you want to replace your old rooftop gutters then don’t throw them away since you can grow veggies in them. Lettuces are perfect for gutters, pipes, and even bottles since they have shallow roots. 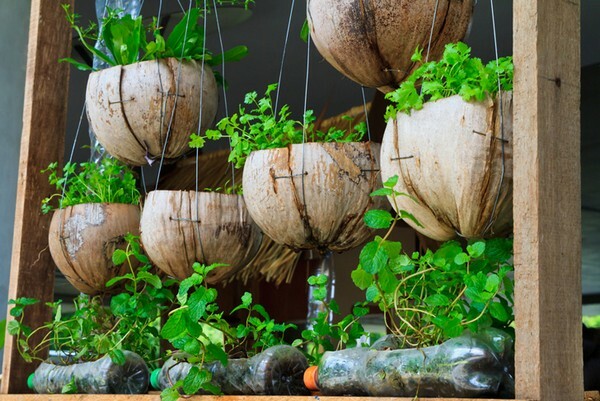 Aside from empty bottles, you can also grow plants in coconut shells. You can hang them in any area as long as it gets direct sunlight. Want to take this concept one step further? If so then create a pyramid garden. This is very efficient for smaller plants and flowers. You can create a garden and produce healthy plants even if you have a small space. These flowers are not the only ones that are colorful but also its planters. With vertical gardening, you can enhance the space of your garden by growing plants vertically. This concept is not actually new. During the ancient times, hanging gardens were displayed in the Babylonian towers. There is no doubt that most people are using wood pallets for their DIY projects. It only makes sense since this is something that you can get for free! 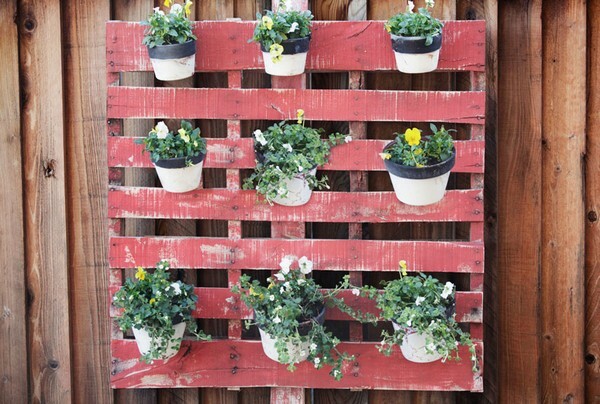 There are a lot of cool things that you can do with wood pallets including these colorful planters. 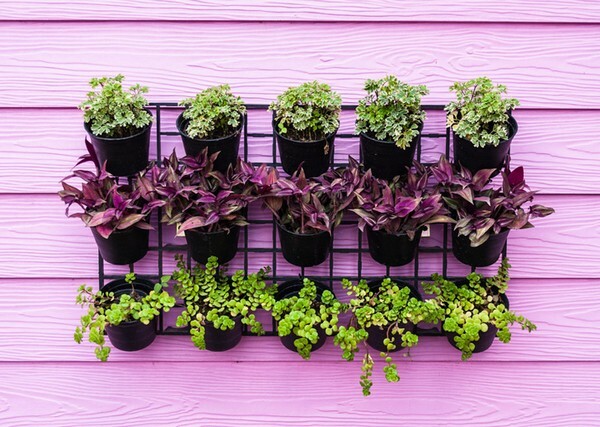 You can either grow a mixture of plants or a specific group of plants for your vertical garden. There are numerous choices, from herbs, veggies to succulents. Vertical gardens offer a striking aesthetic to any terrace or patio. You can either use native or exotic plants for your garden. You don’t need a deep space for growing strawberries since they can grow in shallow spaces. Using gutter planters, you can enjoy growing fresh strawberries right in your own backyard. Dress a barren wall with colorful flowers to make it more appealing. The contrast between the wall and the flowers are so amazing. This is ideal for those who have a small garden space especially those who are living in apartments. No matter where you live, you can always take advantage of the tremendous benefits of vertical gardening. If you have not started creating one then here are the reasons why you should. First of all, vertical gardens can help in maximizing your limited garden space. 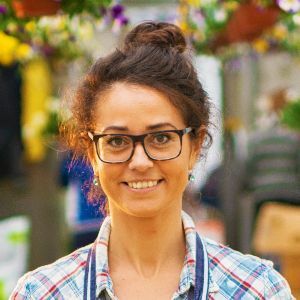 There are different techniques that you can use such as stacking raised gardens. It can help in enhancing productivity. Vertical gardens can be used as a cover up for ugly views. It can also give your more privacy, especially from prying neighbors. It can help in making your plants healthier by improving air circulation. 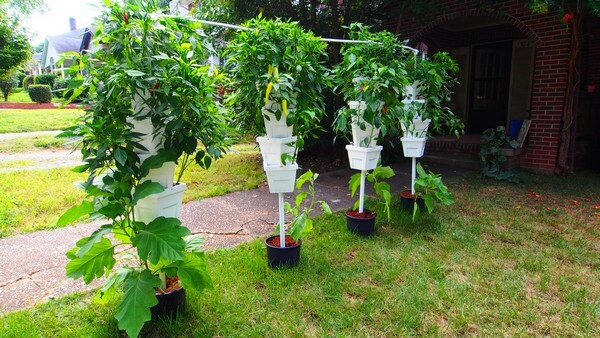 Since plants will be easier to reach then you can easily water, fertilize and harvest them. So convenient and prevents any back pains! It can provide a WOW effect to your outdoor. Window boxes and hanging baskets can improve the visual appeal of your home. You can enjoy more harvest. You can also increase the number of plants that you can grow in your vertical garden. 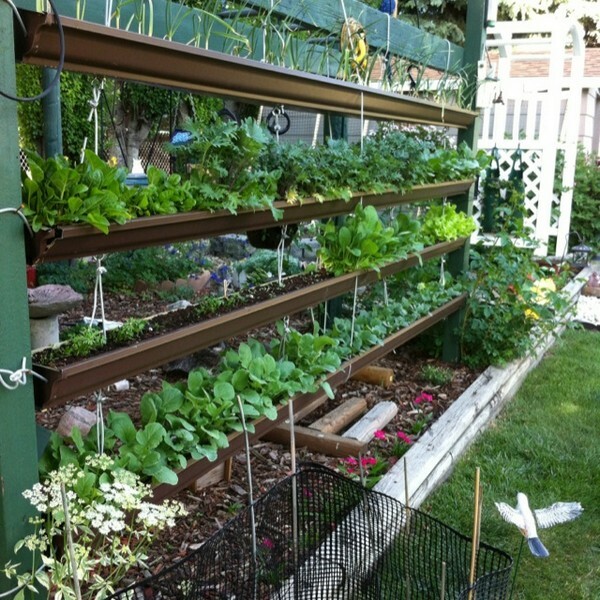 Some vegetables can grow up in trellis which only takes up limited space. Improves your health. Some studies revealed that plants can greatly improve air quality both indoors and outdoors. They seem to look complicated but actually, they are very easy to install. Additionally, it can provide a relaxing and serene environment to your home. 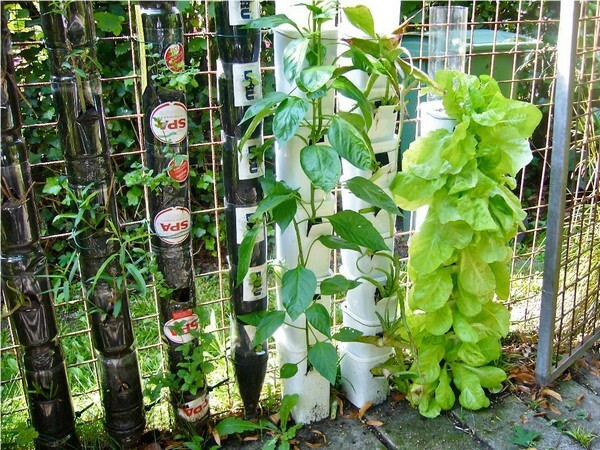 Vertical gardening is an excellent DIY project. You only need some lumber and a few tools to create them. The designs are endless, from recycled soda bottles, pallets, pouches, step ladder and a lot more. You don’t have to spend a lot of money since you can utilize any unused items that can be found in your house such as gutters, pipes, and others. 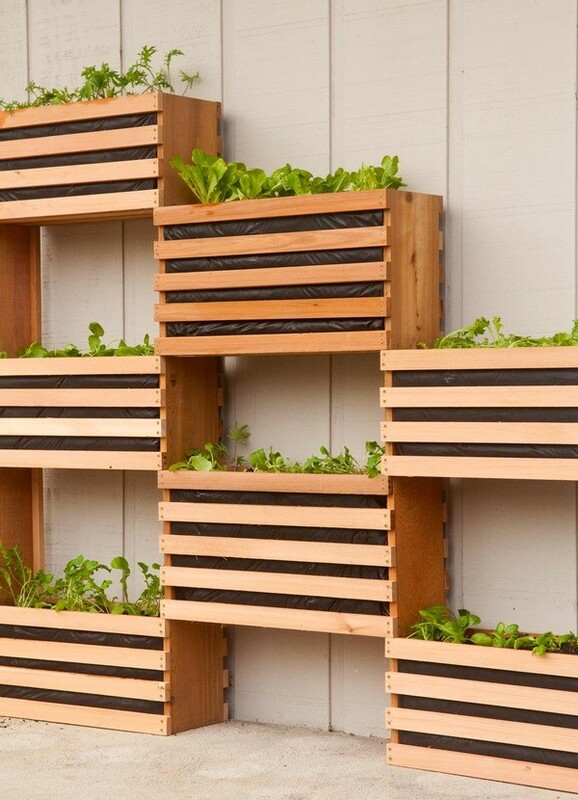 So what are you waiting for, start making your vertical garden now! Gardening is fun and best of all its not too heavy for your pocket! 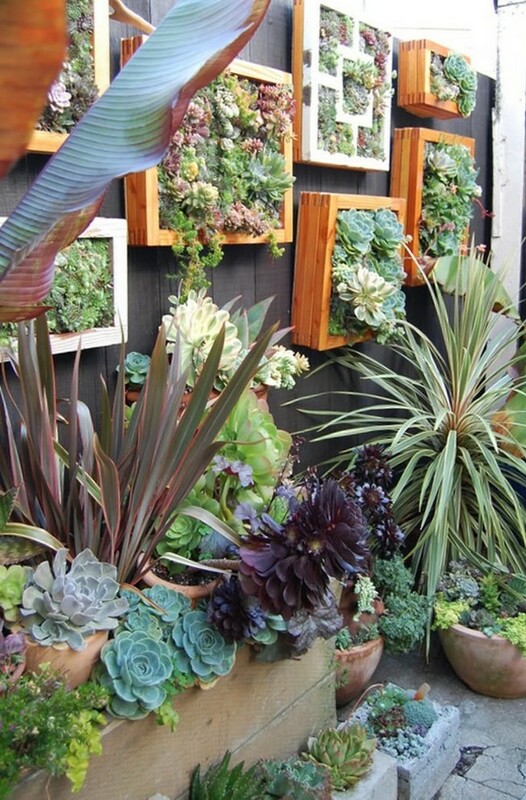 What’s your favorite vertical gardening design? Share it with us!